Memory dialing requires using the menu. No quick dial buttons. Looking for simplicity? You’ve found it. 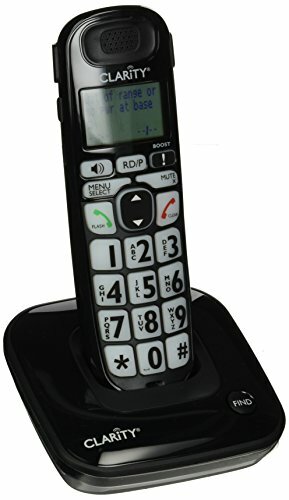 This phone is one of the more simple cordless phones for seniors. It has several features that will help seniors with poor vision, hearing, and even arthritis. But, it isn’t overloaded with features that make it difficult to use or confusing. The big buttons with high contrast print also light up for easy viewing – day or night. The soft touch buttons are easy to press and will cause less pain for those with arthritic joints. But they also have a tactile feel to them so the user will know for sure the button has been pressed. The print on the screen is nicely sized but people with severe vision problems may have trouble with it. It is back lit to help with the contrast. This makes it easier to see in the dark and at nighttime also. The ringer is easy to hear with 10 different melodies to choose from. There are also 6 different volume settings. After a little trial and error, you will find a ringer that works for even hard of hearing cordless phone users. This is a great choice for seniors who want the freedom to take their phone with them while being able to see and hear it. This one boosts the incoming sound by up to 35dB so it will work well for people with moderate hearing loss. This is 12 times louder than a normal home phone. 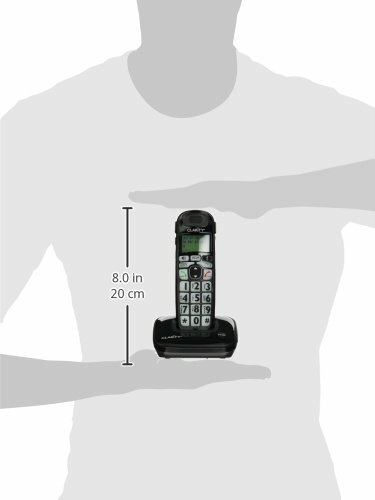 If you need another handset for use in another room, there is an optional add on handset for this model. It works with the base phone without having to add another phone line or jack! There is also a handy little “FIND” button on the base unit. Pressing this button makes the handset ring to help seniors find it if it gets misplaced. There are 10 memory settings and the address book holds 100 phone numbers. But, getting to the phone numbers is more difficult to remember due to the multiple steps. Seniors with basic technology knowledge will do fine though. Yes, it is compatible with DECT 6.0 technology. Easy to Use. A simplified design coupled with Clarity’s 40 years of innovation makes the D703™ easy to use. Superior Technology. Clarity’s dedication to innovation provides each phone with effective solutions to better fit into your lifestyle. 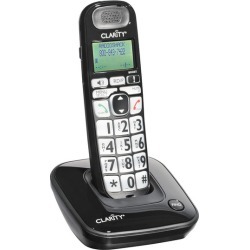 The Clarity D703 is almost as senior-friendly as a cordless phone can get. The numbers and buttons are big, bold, and easy to see. It boost the call volume and has loud ringers to choose from. If you want a more simple, easy to use cordless phone with less features, I recommend this one 100%.